I read and write a lot! And, I have a few books, journals, and my planner that requires pages to be marked. But, let me tell you, I don’t rely on a sheet of plain paper, business card, or an old fashioned bookmark to call me back to the pages. I need fancy!!! 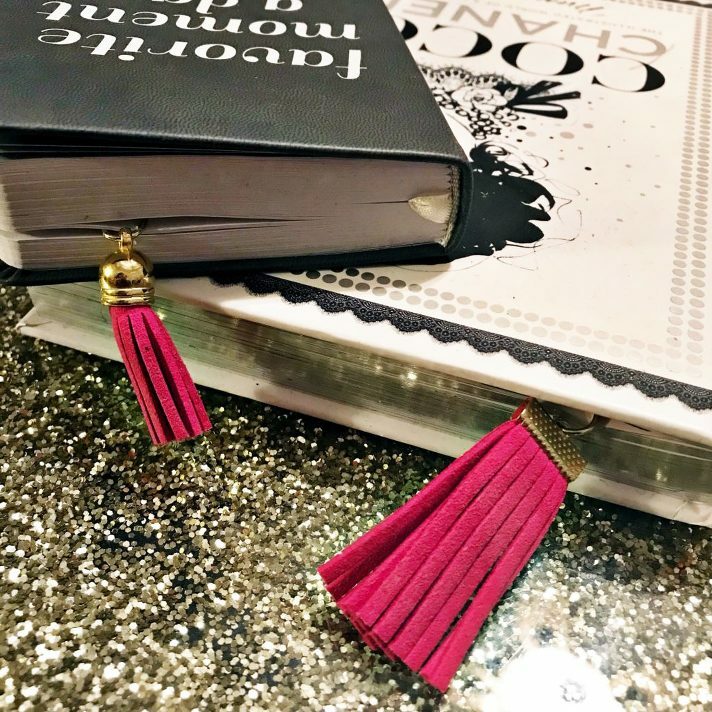 I went to my local Hobby Lobby and found these flat tassel embellishments and immediately thought that they would be fabulous at marking my pages. And I wanted to share with you how I did it without needing extra tools and adhesives to make this happen. And for pennies. As you can see, this package of tassels were on clearance for $1.25…YAY!!! They were coming home with me. 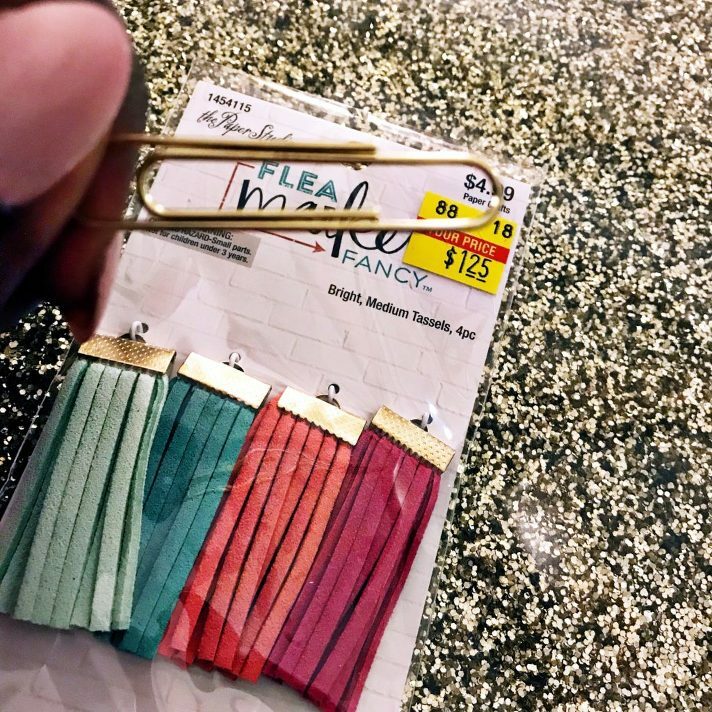 But there are so many different spare part pieces in Hobby Lobby and any other craft stores that will be cute and inexpensive (don’t forget to use the store coupon that is usually 40-50% off). If you can’t find anything on clearance like I did, pull out that coupon!! I had large gold paper clips on hand and just simply added it to the tassel and the job was done. This is not even a 5 second project, I kid you not! 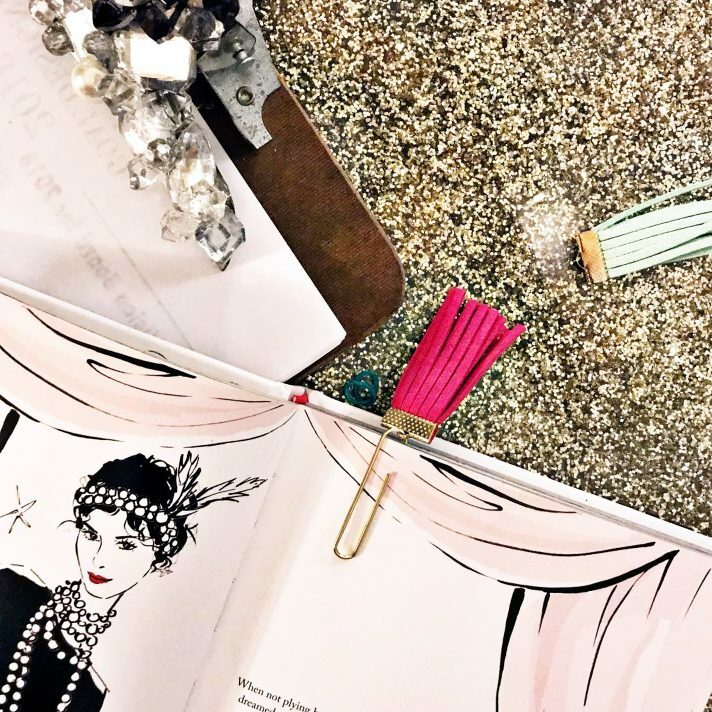 You can get extra with this project and add “O” rings to them and other tidbits, do whatever makes you happy especially if it motivates you to pick up a good book or plan out your day. What do you think about this quick and easy DIY project?